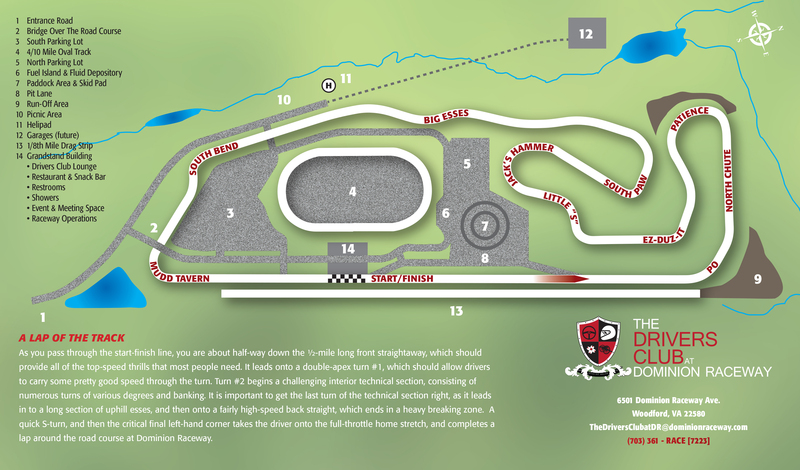 The Dominion Raceway Road Course is 2-miles long, 36’ wide, and has 12 corners. Banking is used strategically in the corners to provide both challenging and rewarding cornering speeds. The track has multiple sections of elevation changes, with a total elevation change of 70 feet! The front straight provides over a half-mile of straight-away for a top-speed thrill, while the back section of the track is almost the same length, with uphill bends to make it a very fun, high-speed section of the track. Overall, the track will be a great combination of technical sections, high-speed curves, and of course, full-throttle straight-always, which should make it a magnificent course to drive and/or compete on! Great track car is gonna get even better!